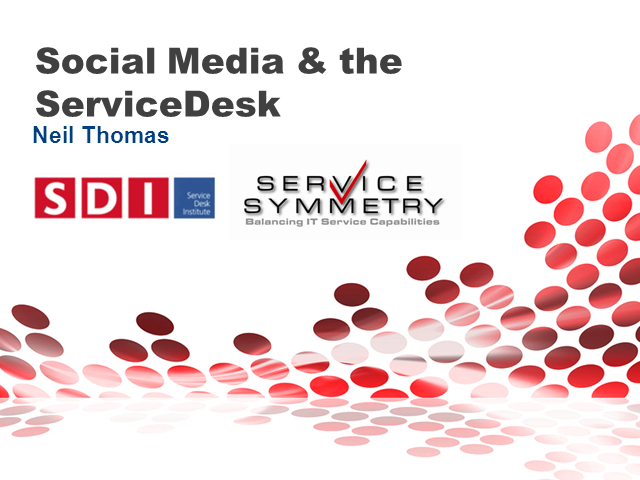 Social Media is on everybody's lips at the moment and Facebook has a population larger than most countries, but what is the impact on the service desk? Should they be banned as part of the HR policy? Can they be made to work for a service desk? what should the response from IT be? The challenges and potential are discussed in this webcast.